Chandigarh: As per the media reports the Punjab vidhan sabha speaker Rana KP here on Thursday ordered that all 19 Aam Aadmi Party (AAP) MLAs be forcibly evicted from the Vidhan Sabha. Marshals then physically lifted the MLAs, holding them by their arms and legs, causing injuries to some. Two legislators were hospitalised, even as women MLAs claimed they were inappropriately handled. 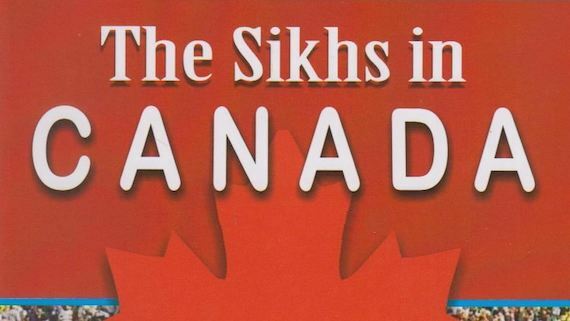 It is reported by the media that dastars of at least four — Pirmal Singh Dhaula, Manjit Singh Bilaspur, Jai Kishan Singh Rodi and Amarjit Singh Sandoa — were flung into the air, triggering a controversy over the “insult” to the Sikh symbol. Both the opposition parties AAP & SAD (Badal) has urged the Akal Takhat Sahib to intervene in this matter, The SGPC has decided to take up the issue at its executive committee meeting on June 26. “Marshals attacked our MLAs and removed the turbans of five. They dragged and insulted the women MLAs too,” reads a quote from the statement of H S Phoolka, leader of opposition in the assembly. It is said that a marshal too got injured in this tussle as she claimed that she was assaulted by an AAP MLA. Trouble began just six minutes into Question Hour when AAP MLA Kanwar Sandhu drew the Speaker’s attention to the ban on MLAs Sukhpal Singh Khaira and Simarjit Singh Bains (Lok Insaaf Party) from the Assembly premises, said the media reports. Furthermore, the AAP MLA’s resorted to sloganeering while questioning the ban on both Sukhpal Singh Khaira and Simranjit Singh Bains to which the speaker suspended all for the day and ordered that they be evicted. The MLAs were carried out by the marshals amid resistance. 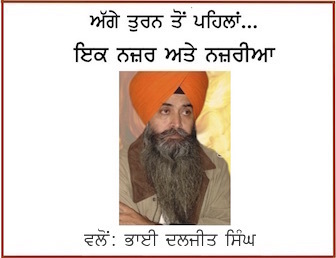 The dastar of Pirmal Singh Dhaula was thrown up in the melee. The Badal Dal MLAs too staged a walkout, notes The Tribune. As they returned to the House with AAP MLAs sneaking in, the marshals swung into action again. ÄAP MLA from Sunam Aman Arora’s shirt was torn. “They (marshals) kicked us as if we were animals,” he said. Even the women MLA’s were not spared, AAP’s Sarbjit Kaur Manuke was groaning in pain as she was pulled by the arm yet to heal after a fracture. 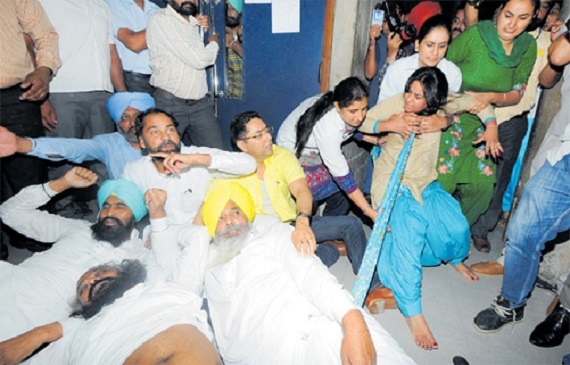 It was reported that AAP’s Baljinder Kaur fainted during resistance as she firmly clutched on to a desk which fell when she was finally pulled away. 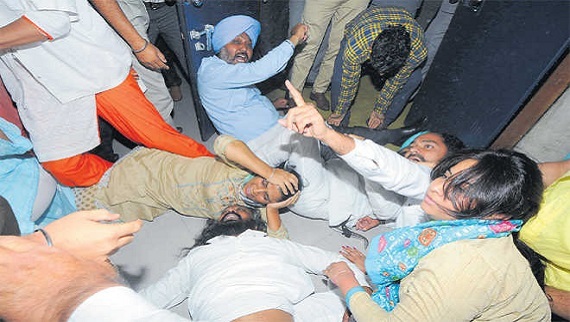 It was widely observed by the MLA’s present that perhaps it was for the first time in the history of the House, that they had to be taken away on stretchers, Badal Dal too staged a protest walked out claiming the act being ”murder of democracy” . The injured MLA’ admitted to general hospital in sector 16 Chandigarh, later in the day former chief minister Parkash Singh Badal visited the injured MLAs.